Your radiation therapy will be delivered by specialised machines called linear accelerators. They are very accurate and precise machines that produce the radiation therapy beam. The machine will not touch you at any time. 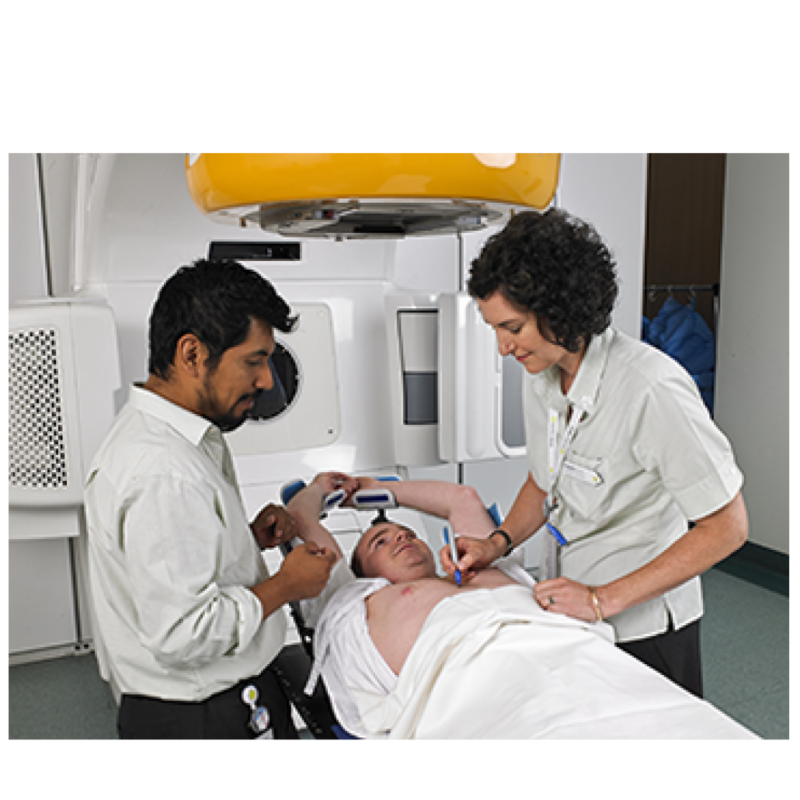 During treatment you will be positioned in the same way as in your radiation therapy planning session. It is important to keep still and breathe normally during your treatment. The radiation therapy team will be inside the room with you while they position you for your treatment. Once they are ready to begin your treatment, they will let you know and leave the room. They will be observing you closely at all times during treatment via cameras in the treatment room and can speak to you if necessary. Although you will hear the machine during your treatment, you will not see or feel the radiation therapy beam. The treatment is painless and lasts about 2-10 minutes. The whole treatment session from positioning you to finishing treatment may take about 15-25 minutes.